Come see me in Atlanta for the Authors After Dark Convention. I am sponsoring a table at the Shifter’s Picnic Lunch and the Bump in the Night Ball. Tickets are on sale now. There will be lots of FREE books and fun games with prizes. Come join me! 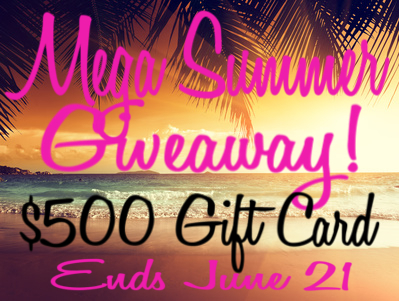 Mega Summer Giveaway – Win a $500 gift card. Enter a Rafflecopter giveaway to win a $500.00 gift card. Enter now until June 21st. Lots of easy ways to enter. Hope you take advantage of this chance. It’s a huge giveaway and I would love one of my peeps to win!